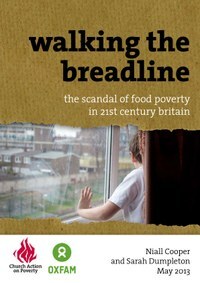 OXFAM and CHURCH ACTION ON POVERTY are today to present Parliament with their latest report “Walking the Breadline” . They will petition the government to launch an urgent enquiry into what they describe as the ‘scandal’ of nearly half a million people now using Food Banks in order to survive in the UK – the seventh wealthiest nation in the world. 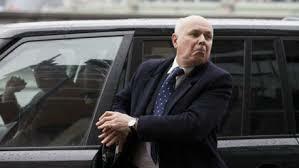 The scrupulously researched report states that it isn’t just the cuts in welfare benefits that are causing families in Britain to go hungry but blames delays in benefit payments and particularly highlights the often inappropriate use of benefit sanctions by the DWP. The report also makes the point that many families have people in work needing to rely on Food Banks because of ever decreasing wages. The House of Commons Work and Pensions Select Committee conducts an urgent inquiry into the relationship between benefit delay, error or sanctions, welfare reform changes, and the growth of food poverty. 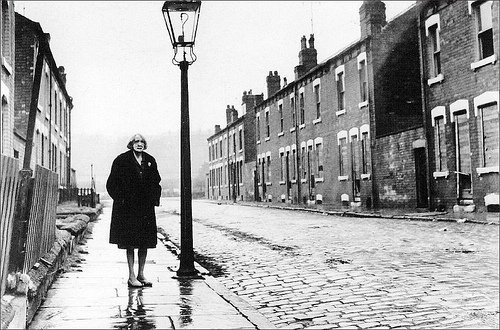 The Department for Work and Pensions publishes data on a regular basis on the number and type of household who are deprived of their benefits by reason of benefit delay, error or sanctions; the numbers leaving and returning to benefits after a short period of time, and the number of referrals from Job-centre staff to local food banks. The Department for Work and Pensions commission independent monitoring of the roll-out of Universal Credit, to ensure that there is no unintentional increase in food poverty. All referrals to food banks/emergency food aid provision, made by government agencies, be recorded and monitored in order to establish more accurate numbers on people experiencing food poverty in the UK. HM Treasury make tackling tax dodging an urgent priority, including promoting robust and coordinated international action at the forthcoming G8 meeting in Northern Ireland in June – to reduce the need for future cuts in benefits, and restore the principle that benefits should at least rise in line with inflation. “There is clear evidence that the benefit sanctions regime has gone too far, and is leading to destitution, hardship and hunger on a large scale. to cope with the increased level of demand. The emphasis in bold print is theirs. They also make the important point that Food Banks are , and should only ever be seen as, an emergency measure and that even in developing countries food aid is seen as an emergency measure. This report is underpinned by reliable and valid research using sound methodology which has been tried and tested over many years by leading academics. Its absolutely necessary that government are presented with this kind of evidence because so far both Conservative and LibDem MPs have dismissed the very claims made in this report by countless others as anecdotal. Ed Davey, LibDem Secretary of State for Energy and Climate Change recently went on record as saying it “completely wrong to suggest that there is some sort of statistical link between the benefit reforms we’re making and the provision of food banks”. You can help by visiting the website of CHURCH ACTION ON POVERTY and using their app for emailing your MP to urge them to push for an urgent enquiry by the Work and Pensions Select Committee. Please, please share this news widely. 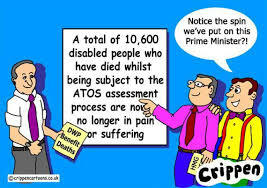 Its time this cruel government were made to confront the miserable effects of their disastrous policies. This entry was posted in poverty, Tories and tagged benefit sanctions, Church Action Poverty, Department for Work and Pensions, Food bank, half a million hungry in UK, hunger in UK, Member of Parliament, Niall Cooper, Oxfam, poor working families, Universal Credit, walking the breadline, Work and Pensions Select Committee on May 30, 2013 by sparaszczukster.